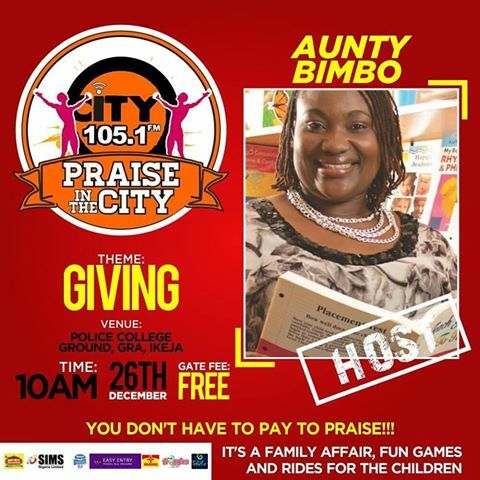 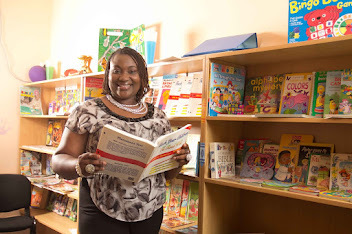 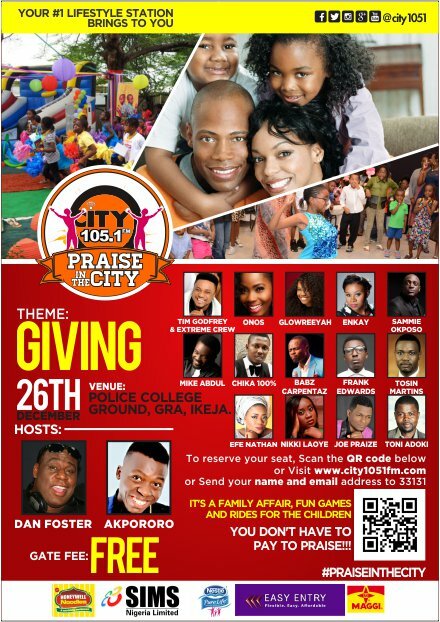 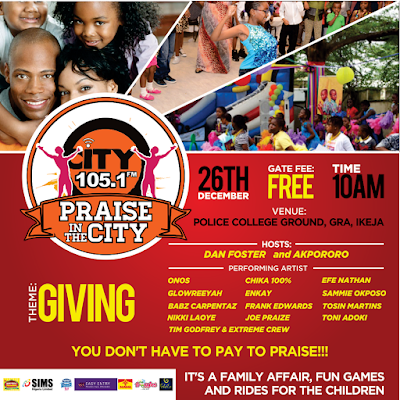 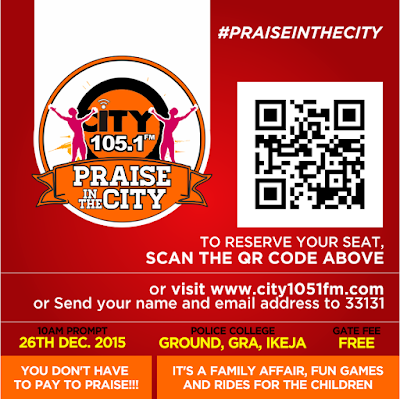 CityFM105.1 Presents Maiden Edition Of Praise In The City Concert! 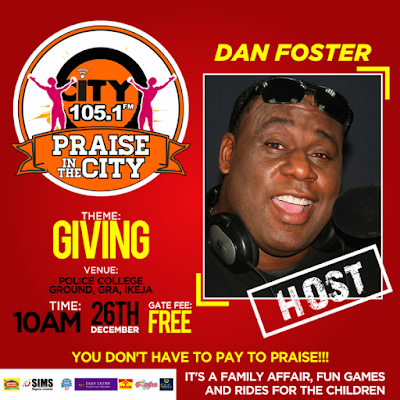 Your hosts for the event will Sunday Praise Jam show creator, inspirational speaker/presenter, Dan Foster alongside Singspiration Zone & City Kids Show presenter, Aunty Bimbo. 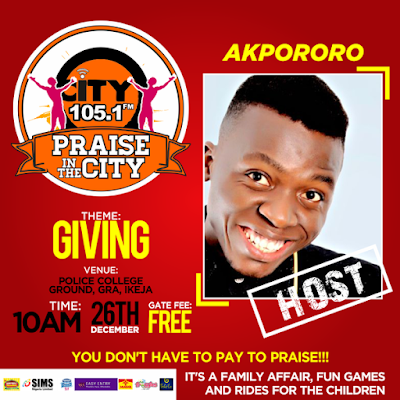 Award winning commedian, Akpororo will also be aboard as a celebrity co-host to add more spice to the already well laid out menu just for your pleasure. Praise In The City is proudly supported by: Nestle water, Maggi Star, Tehila Sound, Easy Entry, Froggles Kids World, Sims Nigeria Ltd, Fan Milk Plc.